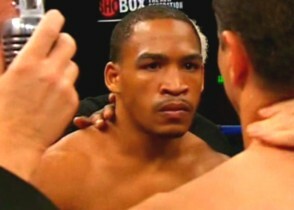 Unbeaten junior middleweight prospect James Kirkland (20-0, 17 KOs) knocked out Mohammed Said (21-6-1, 14 KOs) in the 2nd round on Saturday night at the Emerald Queen Casino, in Tacoma, Washington. Kirkland knocked Said down twice in the first round, and then a final time in round two. Said wasn’t able to beat the count on after the 3rd knockdown. Unlike in his last fight against Ossie Duran in June 2007, Kirkland, 23, came in tip top shape, showing no signs of excess fight or poor fatigue which hampered him in his last outing against Duran. While receiving he referee’s instruction, it seemed immediately clear that Said, 33, looked badly frightened of Kirkland. I knew the look, having seen it many times before with fighters that were seemingly psyched out before they even landed a blow. Sometimes it turned out to be no big deal, as they were able to go out and fight effectively. However, more often than not, it was a signal that they were going to lose the fight badly. As it turned out, I was right about my assumption, as Said was knocked down in the first 15 seconds of the first round after eating a handful of punches. After getting up on weak legs, Kirkland rushed him and began throwing punches from all angles in his eagerness to take out Said. Shortly thereafter, Kirkland’s work paid off, with Said being deposited once again on the canvas. And just as before, once he was up on his feet again, Kirkland bum-rushed him once again, this time forgetting all about thoughts of covering up and protecting himself. Said, who was in the survival mode at this stage, began throwing punches without aiming, just anything to get Kirkland off of him. As it turns out, more than a few of Said’s wild shots connected to the head of Kirkland, enough to get his attention, that’s for sure. Also, enough to show that Kirkland has major problems when it comes to protecting himself from punches, something that is meaningless against the outgunned Said, but against a better opponent, such as Vernon Forrest, Joachim Alcine, Cory Spinks or Roman Karmazin, Kirkland would be in for a world of hurt. Towards the end of the round, Said, who by this time began to look more and more confident after discovering how easy it was to hit Kirkland, perhaps too confident, for his sake. Now, instead of trying merely to keep Kirkland away, Said had turned into the aggressor and backed Kirkland up against the ropes and was attempting to punish him for his early knockdowns. Unfortunately for Said, he forgot to keep his guard up after throwing a left hand, which allowed Kirkland to come in with a straight left hand that landed cleanly to Said’s face, sending him to the canvas for the third time. This time, Said didn’t get up and was counted out by the referee.